U.S. Soccer is sticking by its guns regarding the Professional League Standards used to sanction pro soccer leagues. In a letter dated May 30, U.S. Soccer secretary general Dan Flynn advised New York Cosmos owner Rocco Commissothat the federation's board of directors "does not see a compelling reason to deviate from the annual sanctioning process," rebuffing Commisso on his proposal to inject $500 million (with $250 million of his own money) in capital into a revamped NASL. (2) a waiver so investors could own multiple teams, using MLS in its early days as its precedence. -- An open and competitive bidding process for the licensing of the U.S. national team rights currently held by SUM. Flynn also addressed each of the conditions. He also advised Commisso that a league could apply for sanctioning with details of his proposal. A meeting between U.S. Soccer president Carlos Cordeiro and Commisso, as the latter requested, never too place, nor did a proposed meeting between U.S. Soccer representatives and Commisso. Flynn said if the new league was in compliance with the applicable standards or in substantial compliance and included a detailed plan for coming into full compliance within a reasonable period of time, sanctioning should not be a problem. In an open letter to the U.S. Soccer stakeholders, Commisso said his "fight to grow the game of soccer in America does not end today." 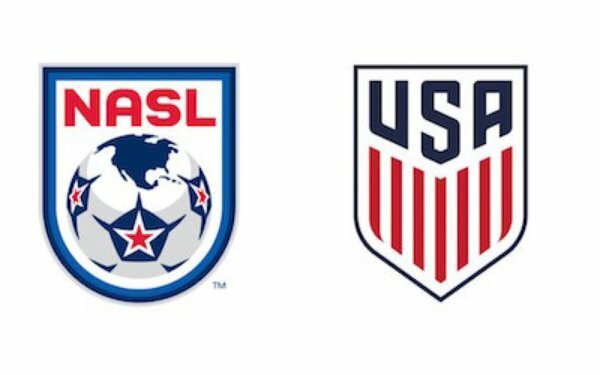 He added that the NASL will continue to pursue its breach of fiduciary duty claims against federation board members in New York state court and begin the discovery phase in its antitrust litigation in Federal court against U.S. Soccer and MLS. 3 comments about "U.S. Soccer rebuffs Commisso's proposal for $500 million capital campaign". John Soares, June 2, 2018 at 1:35 p.m.
Now that years of hard work, money and much sacrifice by many is done . I want a piece of the pie and on my terms. You gatta admit, the dude has a pair. R2 Dad, June 4, 2018 at 12:30 a.m.
NASL is done. Once you come to throwing lawyer fees down a black hole, the gig is up. We have 4 more years of no change with Cordeiro. In 10 years, MLS will be financially stable as ever, with no improvement in the quality of play. USL will still be player pergatory, Then what? NASL was the only alternate that could have put pressure on MLS to change, and now it's gone. So, no change in the forecast. Ronnie L, June 16, 2018 at 4:49 p.m. The guy is an obvious crook. I'm not a huge fan of how US Soccer and MLS is run but you got to admit he's a crook who just feeding his ego and wants a piece of the pie after he saw the big success of MLS. Not a fan of this man at all. Time for NASL to go away completely.